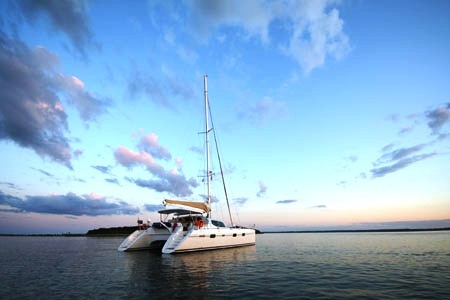 Catamaran Sagaponack is a 17.82m (58' 5") Privledge 585 sailing yacht that was built in 2005. 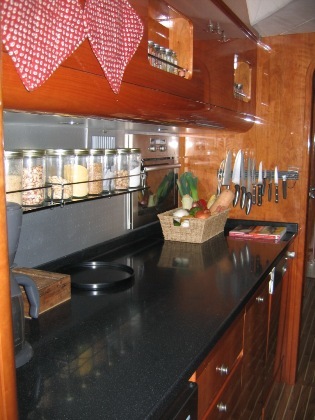 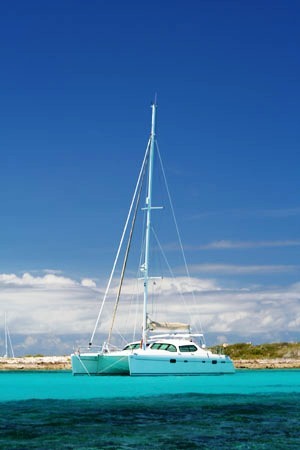 She is an elegant catamaran well equipped for chartering. 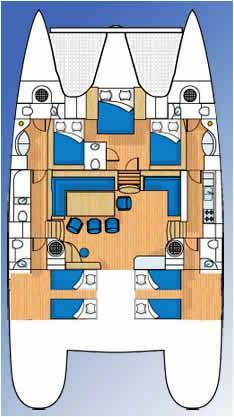 S/Y Sagaponack has a layout different to other Privilege 585s, with 2 queen cabins forward and 2 twin cabins aft that each includes a day bed. 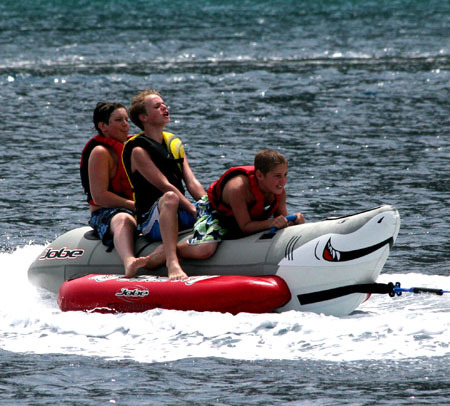 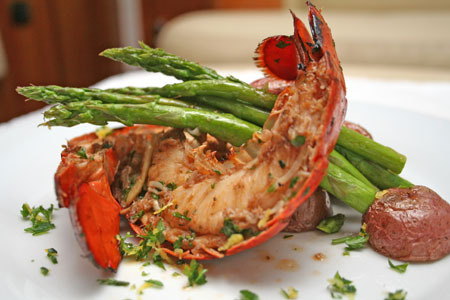 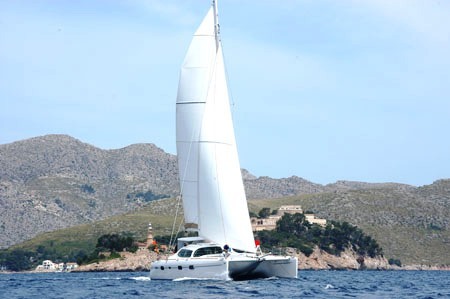 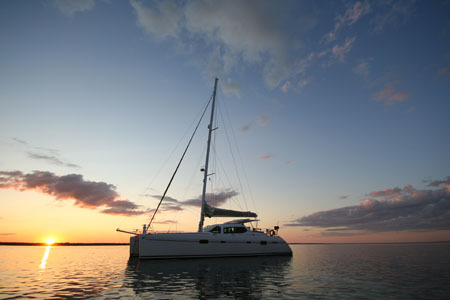 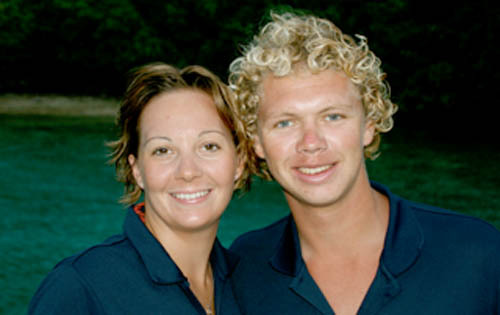 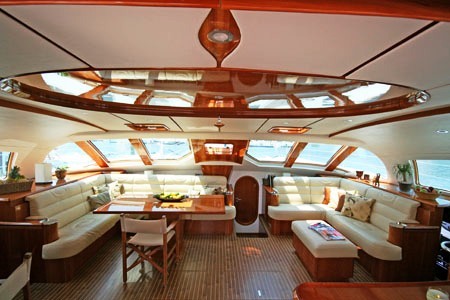 This configuration is particularly suitable for family charters with young children, or for charter groups with singles. 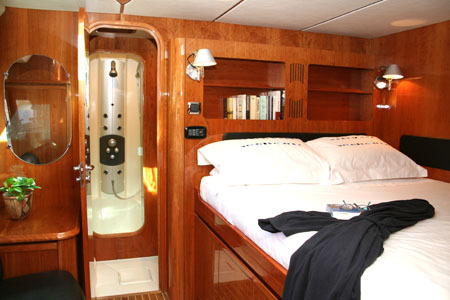 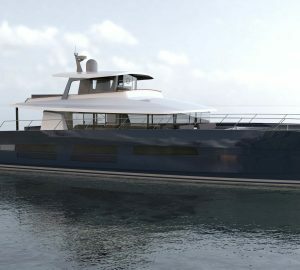 The Sagaponack yacht is able to accommodate 8 guests in 4 cabins. 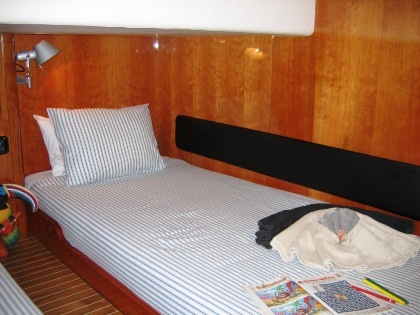 Her two Queen-size state rooms and two twin cabins are all air conditioned and lined with cherry wood paneling. 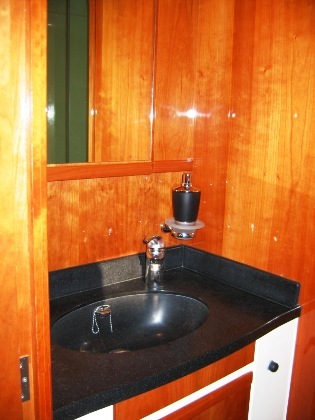 Each cabin features large portholes with integrated sun blinds and private en-suite bathroom facilities. 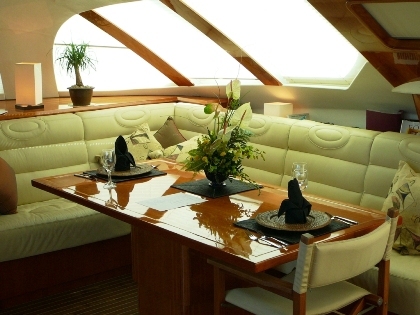 Charter yacht Sagaponack has a large and comfortable saloon that is inviting and cosy with a deep, soft couch and chairs. 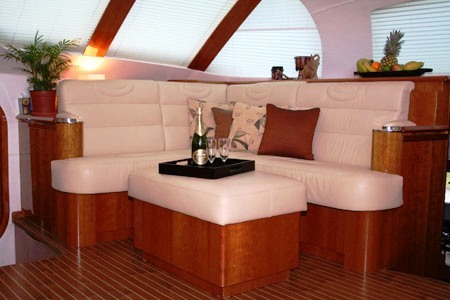 Outside, there is plenty of deck space and areas to relax and have fun including the yachts aft deck with al fresco dining area or the trampolines forward where you can lie down and relax with the water rushing beneath you as the yacht is in full sail. 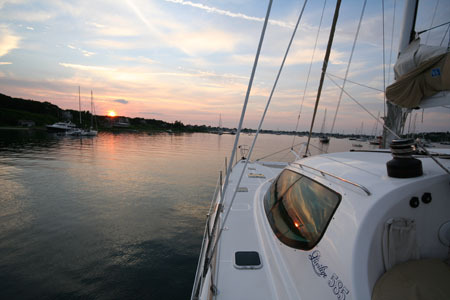 Yacht Sagaponack has an accomplished friendly, experienced crew of 2 who are looking forward to meeting you and introducing you to a charter lifestyle you will want to experience year after year. 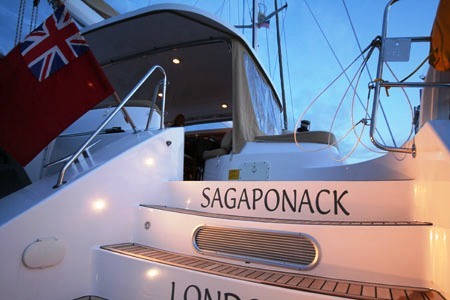 Sailing yacht Sagaponack is able to accommodate up to 8 charter guests. 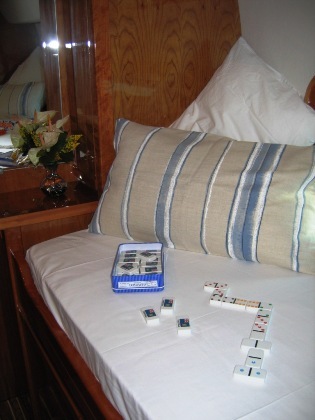 The accommodation consists of 2 equivalent staterooms with queen size beds, each with en suite showers and separate heads and 2 twin cabins each with en suite showers and separated heads. 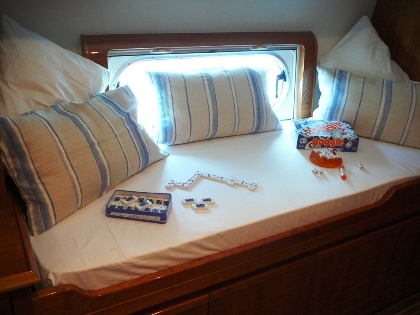 There is an additional bunk in one of the twin cabin for child only. 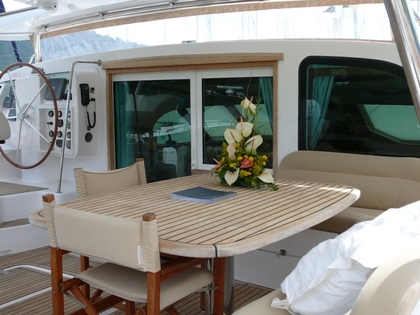 Air conditioning in the cabins only with private control.